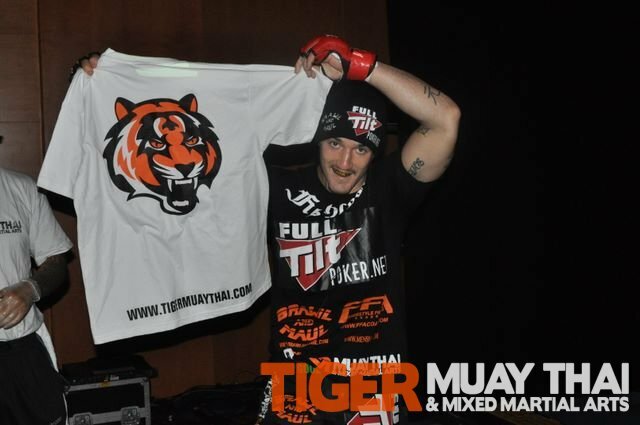 Congratulations to Tiger Muay Thai and MMA training camp, Phuket, Thailand alumni and American Top Team fighter Joe Ray on another impressive showing inside the cage. After dropping back to back decision defeats for the ZUFFA owned Strikeforce organization, Joe Ray was in need of a win. Fighting in one of the Superfights for the Florida Art of Fighting MMA event, Joe Ray showed everyone his power by picking up the quick first round KO against Levi Lalonde. Improving his professional record to 6-3, look for Joe Ray to pick up a few wins on the smaller promotions before looking to get the call from UFC and ZUFFA again.